The headphones of the future? There was a time when everybody shopped for the headphones that made them look the least silly. However, you see all kinds of peculiar models these days, so we guess that no longer applies. With this in mind, the Star Trek-esque plastic curve of Logitech's Sports Headphones is just about acceptable. 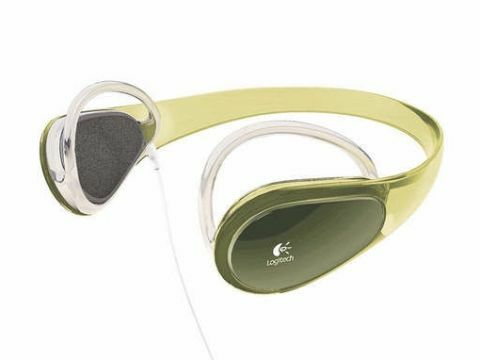 This space-age styling is designed to stop the headphones falling off when you're running. It certainly achieves this; you can dance around like Mick Jagger and these babies will stay put. Still, it doesn't make for the most comfortable listening experience, as the pads by the ears dig in a little. Sound quality is very good, with bass coming through clearly. However, the maximum volume is nothing to write home about. This problem is compounded by the lack of an in-line remote, which is a big oversight.